Florida’s hot humid weather is a breeding ground for lots of different bugs, insects, and pests. It may be overwhelming trying to figure out: Are these bugs bad for my lawn? What kind of bugs are they? How do I get rid of them? Here’s a small lists of some of the most common bugs found here in Florida and what to do if they’re making your lawn their home. Chinch bugs are commonly found in St. Augustine grass. They are extremely harmful to the grass because the feed on all of the juices inside the grass, leaving the grass to die. If you have chinch bugs, your grass will start to form patches of dead, brown grass, also a common sign of drought. Unfortunately, if you have chinch bugs, you will need to call a pest control service to get rid of them, as they are nearly impossible to get rid of them on your own. These pests are typically found in Bahia grass, and like to eat the root system of the grass. They are nocturnal and live underground so you may not ever be able to see them. One good way to be able to tell if you may have them is to mix about 1.5 ounces of liquid dish soap with 2 gallons of water and spray onto a 4×4 area of grass. 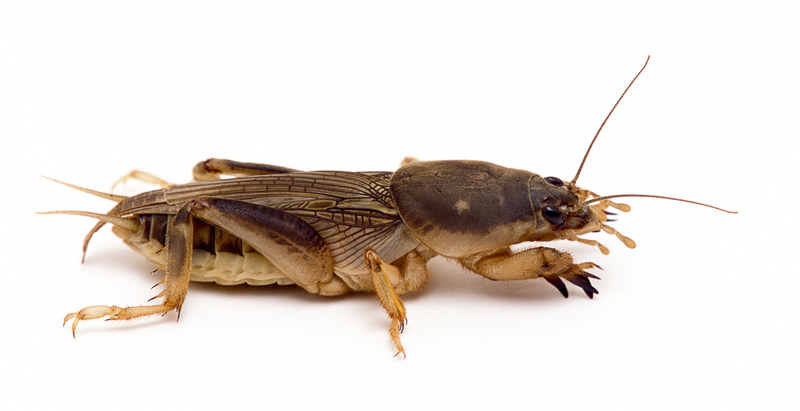 If you start to see small cricket like bugs coming up from the ground within 3 minutes, then you have mole crickets. If you do have them, you can use special pest repellents like this one. Army worms also like to feed on the root system of grass, but they can ruin your grass a lot faster than a Mole Cricket can. The signs of an Army Worm infestation are always clear; it may look like the signs of a drought, with dry patches of grass across your lawn. To check for the infestation, try to pull back a piece of dead grass. If the grass pulls back with no problem and it look like the roots have been cut, then you have Army Worms. You would need to call your local pest control company to get rid of these pests.